Balance of old and new, sweet and sour can be felt in the air. Our carefully designed Lobby & Bar feature handmade furniture with chic and traditional design and high ceilings with natural light providing you a luxurious yet cozy ambient. 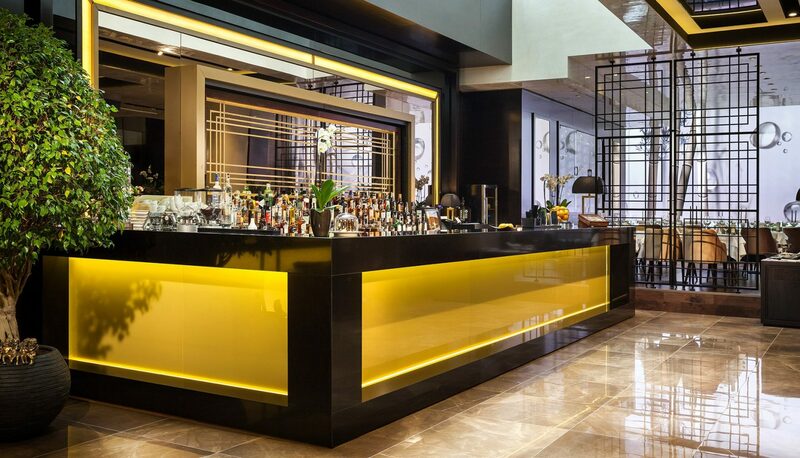 At the lobby and bar enjoy in our casual luxury menu with a mix of worldwide classics to suit all your daily and casual needs. The SAINT TEN Lobby & Bar serves the greatest quality products from coffee Vergnano 1882, known as one of the best Italian coffees to Fentimans sodas which are also used for our signature cocktails. Designed to be the most luxurious place in Vracar, our Lobby & bar offers an impeccable selection of single malt and premium whiskeys and a wide and tailor-made wine card featuring an outstanding wine selection perfect for every connoisseur.